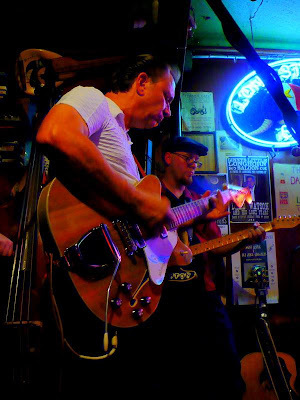 This is a pic of me and Jimmie Vaughan taken at Ginny's Little Longhorn in Austin, TX. It was an honor to pick with someone I've looked up to since I was a teenager. Jimmie's playing his Fender Coronado Wildwood II guitar and I'm playing my Japanese Telecaster. Video shot on a cell phone by Scooterfox.